As we are all getting back to school, the 47 JSHS Regional symposia are planning for the 2017-2018 season. We encourage YOU to find your local region and get involved to showcase your original research in science, technology, engineering, or mathematics. 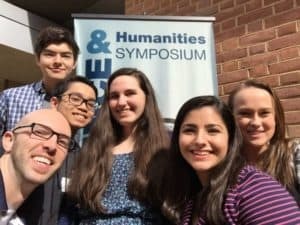 The Junior Science and Humanities Symposium Regions cover all 50 United States, Washington DC, Puerto Rico, and Department of Defense Schools in Europe and Pacific. Students are expected to compete in their home region. Each JSHS region determines their own registration process, deadlines, and competition categories. Please find your region to get started, check-in with their staff about guidelines, and revisit their page to confirm that deadlines and dates remain the same.